Can Bolt's sequel reach the dizzy heights of the original? 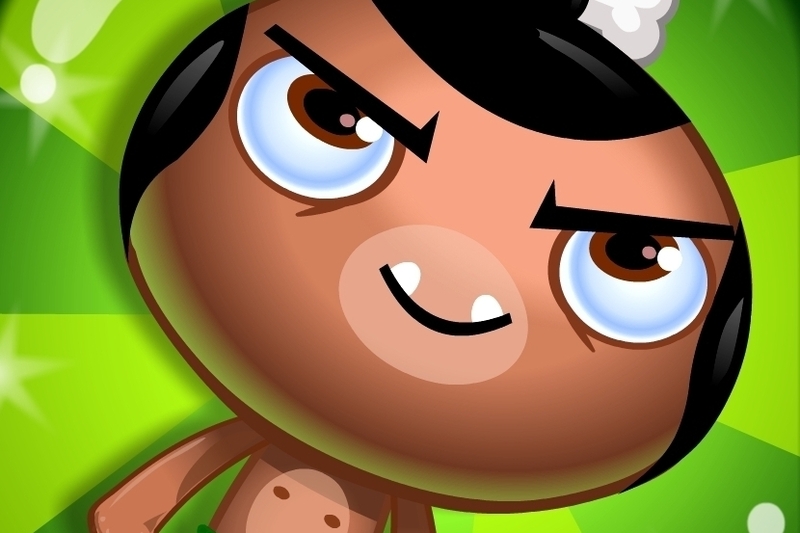 In Pocket God: Ooga Jump, you play a small native who bounces his way up through a variety of platforms, collecting gems along the way. The higher he goes, the less platforms that appear, and the more dangers he'll have to avoid. These include everything from fire ants to spiders, to vengeful monkeys who are out to rip the very skin off your face. Ouch. The tilt controls in Pocket God: Ooga Jump handle extremely well, and you'll have no trouble moving the micro-sized guy around. Tapping on the screen to add more power to your jump is great too, and the power-ups - although limited - can be really helpful in a pinch. It's not a game that takes itself too seriously either, such as when you plummet, Wile E. Coyote-style, into the sand. Ooga Jump also features a great system for challenging and beating your friends' high scores, with placards that show off their score and profile pictures. Being able to bounce off them for extra gems is an awesome touch. Even though it offers some pretty diverse level design, most of Pocket God: Ooga Jump's gameplay remains the same as it was in the original, so it may feel rather repetitive for some. It can also take an eternity to earn enough gems to unlock extra content, something which may cause less patient gamers to end up spending extra on in-app purchases. Bolt Creative's Pocket God: Ooga Jump is hardly an original effort - it's essentially a more tropical edition of Doodle Jump - but it still manages to impress, thanks to its diversity of dangers and trouble-free control system. Despite the time it takes to collect gems, and the somewhat repetitive gameplay, it's an undeniably joyous time-waster.